Each of our saddles are made from top grain leathers and are customized to the cowboy's needs. From custom designs, to a simple design, we've got you covered! 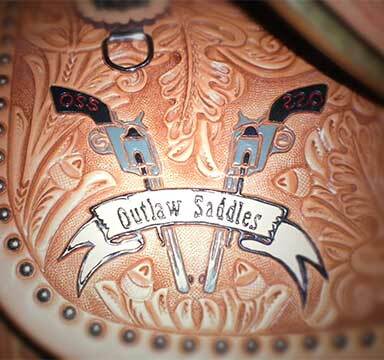 Outlaw Saddles and Silver Buckles takes pride in making custom buckles. Let us know how you'd like it to look, and we can make it happen! Now introducing our unique, custom designed jewelry and women's knives! Click on the photo to see more designs. Outlaw saddles produces a top quality trophy line of saddles. All saddles are made with a rawhide covered tree. These saddles are manufactured in pueblo Colorado.